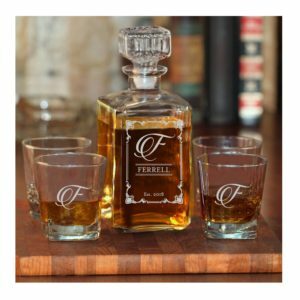 A personalized gift makes giving a little more special. What better way to thoughtfully show someone how much you appreciate them by getting something customized just for them. Our dear friends and family deserve to know just how much they mean to us. 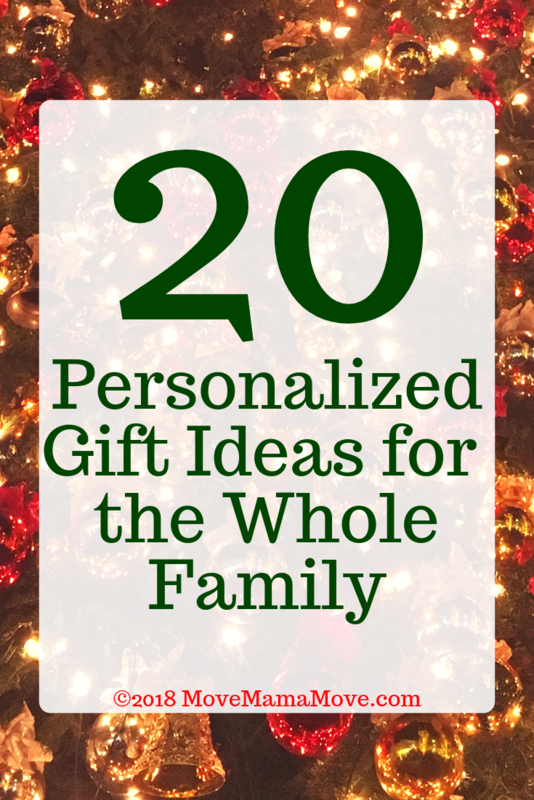 Here is a list of personalized gifts for the whole family: For Him, For Her, For Kids, and For Home. I bought this for my husband last year, and he loves it. 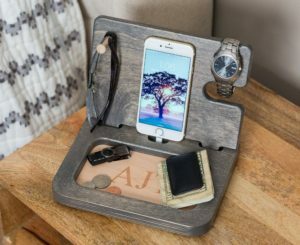 It keeps his nightstand organized and serves as a “catch-all” for his items like phone, watch, wallet, TV remote, and tablet. 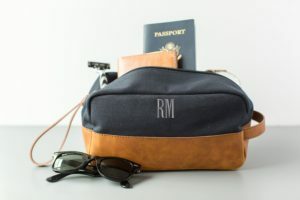 I love the monogram to make it a little more special, but it is subtle and not obnoxious. Chulengo and I got these for my husband last year. My husband says they are comfortable. I think they are hilarious and adorable at the same time. Anytime he is at work; he can peek down at his feet and see Chulengo smiling back at him. This set is perfect for entertaining. We have similar glasses at home that we received as a wedding gift. I also purchased this for my husband a couple of years ago. I love the ability to engrave his initials on the outside! Finding something useful, yet trendy for my husband is a big task. This card holder has been perfect; he uses it every day. The magnetic closure is also a nice touch. 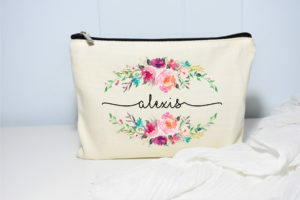 I love a personalized toiletries bag. It’s simple, functional, and classic. I love the leather accent on the bottom. We travel quite a bit and use our toiletries bags pretty regularly. I love this necklace! First, I love the combo of silver, yellow gold, and rose gold. My engagement ring is platinum, and my wedding band is rose gold. So anytime I can mix colors, I love it! 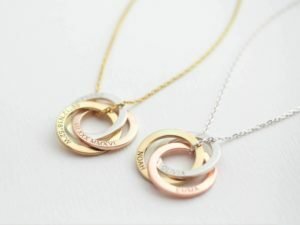 What a great way to wear your family close to your heart. 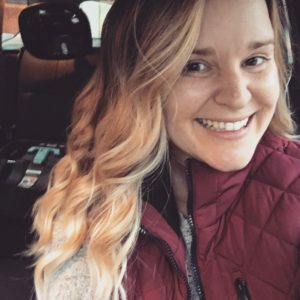 I am always looking for unique yet personal gifts for my mama. I love this combo of the photo and the poem. This photo poem is a great way to memorialize a special relationship. A girl can never have too many makeup bags, right? I have a bag for makeup brushes, a bag for travel-size perfume bottles, a bag for feminine products, a bag for hair ties. You name it; I have a bag for it. I love a bag with my name on it too. It is such a nice personal touch. I purchased something similar to this for my bridesmaids in my wedding. When I asked my sisters and BFF to be my bridesmaids, I sent them a scarf with a personal message written on the scarf. 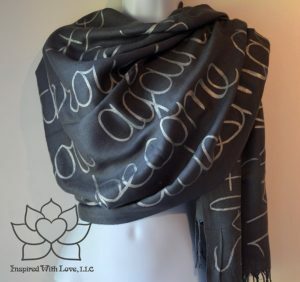 The printed message creates a unique design on the scarf. I love the idea of using this scarf for special quotes, memories, or song lyrics. I have a couple of personal notes from people who have passed away. Recreating a scarf with those notes would be special also! I love a cute water bottle. What better way to stay hydrated than with a water bottle like this one. The font is adorable, and the color options are perfect. I am always looking for ways to challenge Chulengo. 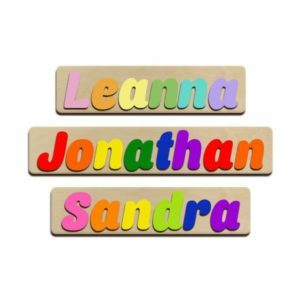 This puzzle is a fun way for him to learn his name, colors, and letters. He can also work on fine motor skills, trying to place the pieces in the puzzle. Chulengo loves when we read books to him. 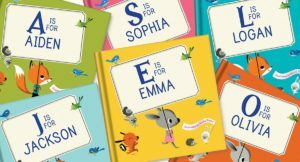 What better way to have fun with reading than to read him a book with his name in it. I love how this book has many touches of personalization throughout. I love these crayons!! I can work with Chulengo on letters and spelling his name. He can use them to color. He is less likely to chew on these crayons since they are not the traditional stick shape. When I saw this baking set, I got goosebumps. I love this set! 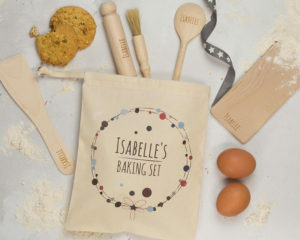 Each piece of this set is personalized with the child’s name. I can just imagine it now: baking in the kitchen with Chulengo and having Chulengo pull out his baking set. He would be so proud of his tools, especially with his name on them. As Chulengo has gotten older, he has outgrown his baby bath towels. 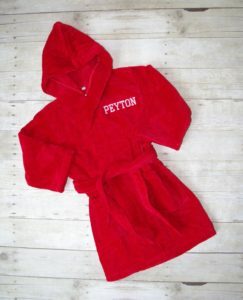 This robe is a great way to keep him warm after a bath. Most of my friends will know this, but I love sending a personalized cutting board as a gift. As someone who likes to entertain and serve food on decorative trays, this cutting board is perfect. We received a cutting board as a gift, and it is one of my favorite items in the kitchen. I saw these coasters as a wedding favors once. A good friend had some made for us when we moved away. 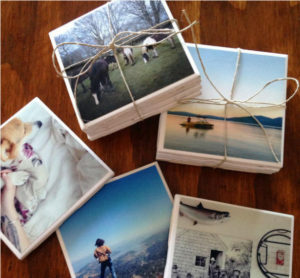 Coasters are a great go-to gift, especially if you can personalize them. I like the idea of putting a picture of each grandchild on a coaster and giving to a grandparent. 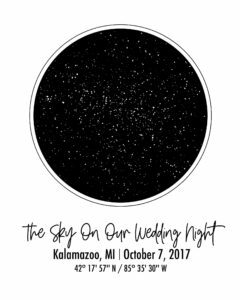 A constellation map is a great way to commemorate a special day. It could be a wedding, birth of a child, birthday, even the death of a loved one. What a cool way to memorialize a personal moment. This wood photo is cool. I am fascinated that this even works. 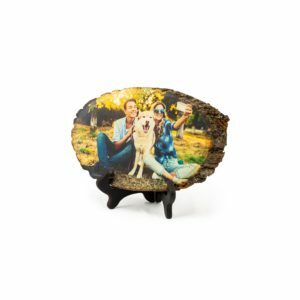 We can get photos on anything nowadays and printing them on wood is pretty darn creative. 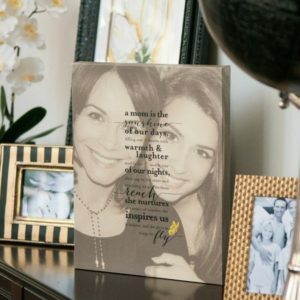 Instead of the traditional framed picture, this is a great alternative to display the special memories in your home. I love this artist’s work. The paintings are detailed, accurate, and simple. 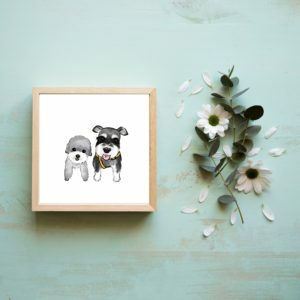 They are perfect for your favorite animal lover. There you have it. 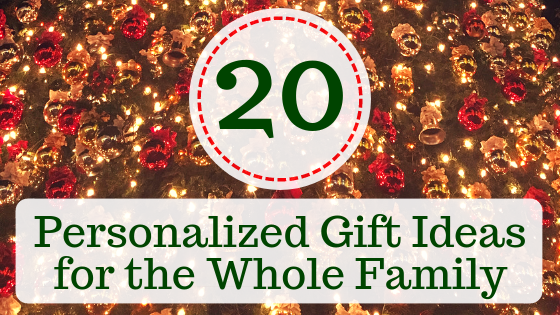 20 unique, customizable gifts for your nearest and dearest loved ones. 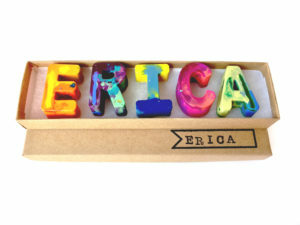 I love giving personalized gifts because it shows that you put some thought into the gift! Some great suggestions in this post! OMG the first two are a must have! I am on my way to check them out now, thanks for sharing. Yes!! 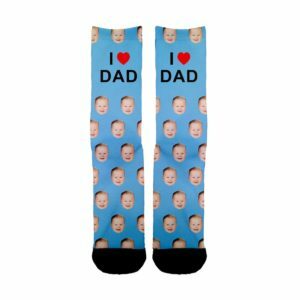 The socks were my favorite gift to give! They are soooo funny. 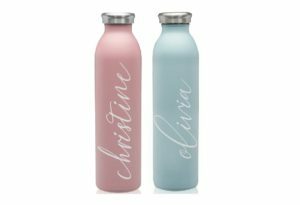 I love the idea of a personalized water bottle or monogrammed cutting board! These are such sweet ideas. I agree I thought the wood picture was so unique!! Great idea for a budding artist! I love so many of these gifts! 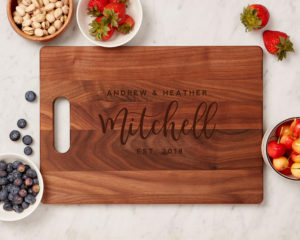 We actually have a personalized cutting board like the one on the list and we absolutely love it! 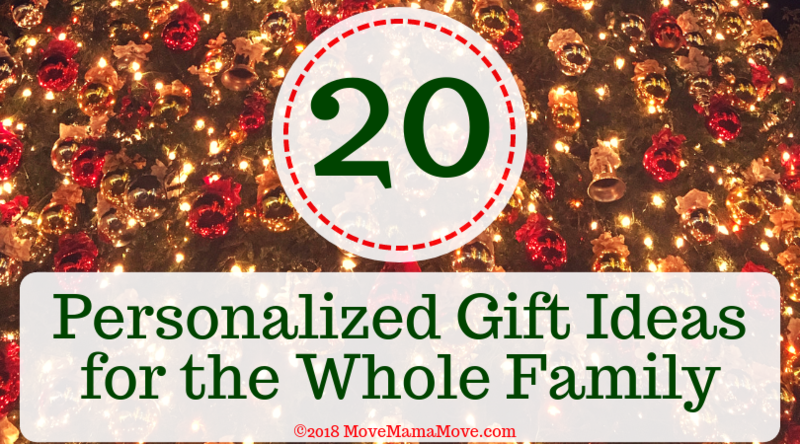 I’m always looking for more gift ideas and these are excellent options! You have some great ideas here. I think the personalization adds that extra special touch with a gift. The socks are such a cute idea for anyone. They really are perfect for anyone. I even ordered my dad some socks with his dogs head on them… lol! OMG! I just ordered my husband a personalized leather mousepad engraved with his initials for his office. 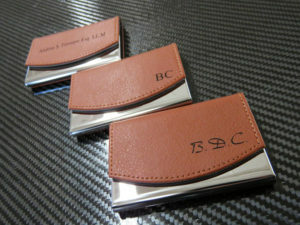 He would love a personalized business card holder! That is such a good idea! ohhh that’s a great idea!! i will have to remember the personalized leather mousepad for next year! I love all of these ideas! I think my favorite is the personalized scarf! Thank you! I loved how unique the scarf was. It’s like a secret message being carried with you and no one has to know. i am a huge fan of personalized gifts. my favorite is that name puzzle for kids. those are so cute. yes!! the puzzle is pretty fantastic! !